Reichian breathwork, an approach to emotional healing that utilizes breathing exercises to achieve a state of relaxation and calm, is an accepted healing practice in the fields of medicine, chiropractic medicine, bodywork, and behavioral health. This technique helps people seeking treatment shut out external and internal distractions and disturbances in order to maintain control of their awareness. 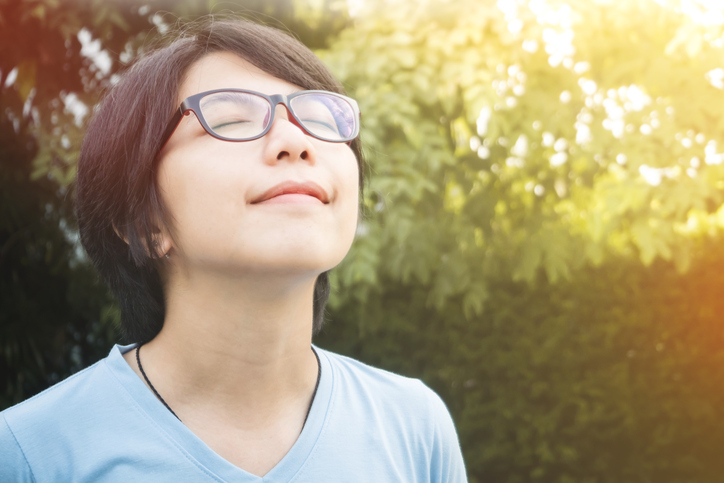 Individuals experiencing physical or psychological symptoms of distress may find breathwork a helpful practice for achieving relaxation and calm. How Is Reichian Breathwork Practiced? Wilhelm Reich, a German psychotherapist who contributed to the work of Fritz Perls and Alexander Lowen, developed Reichian breathwork in the 1920s. Reich studied and worked closely with Sigmund Freud, and much of his early work focused on Freud's ideas of sexual repression being the cause of psychological distress, known as neurosis at the time. However, Reich took Freud’s work farther, using psychotherapy and analysis to explore society’s constraints on sexual freedom. Despite Freud’s disapproval, Reich became preoccupied with his goals to free society of sexual inhibitions through therapy and political advocacy. Reich’s views on psychotherapy became radical for his time, and he was banned from the International Psychoanalytic Association in 1934. As a result, Reich felt free to pursue his radical work in physical methods of therapy, since he no longer had a professional code to abide by, and he began to research what he called “muscular armor,” or muscular tension that is held in the body and blocks impulses to act freely and builds within the body until it disrupts a person's physical, emotional, and mental well-being. His work emphasized the idea that physical and psychological pain and turmoil were the result of people restricting their breathing and creating this muscular armor. People who are beginning Reichian breathwork sessions typically first spend time exploring current and past areas of turmoil with the therapist. Doing so not only serves to develop feelings of trust between the therapist and the person in treatment, but helps the individual identify areas of concern that the breathing exercises will then attempt to address. In order to begin the breathing exercises, people typically lie on their backs, legs bent upward, hands at their sides. Once areas of difficulty have been fully discussed, the therapist encourages the person to describe areas of muscular tension in the body, guiding them to each tense area. Full body breathing, which involves the individual inhaling as deeply as possible and then fully exhaling, is initiated. The therapist encourages the individual in treatment to be as free as possible while performing full body breathing, making any sounds or movements that come forth over the course of the session. The goal is for the individual to reach a level of safety that allows them to freely release any impulses or emotions they experience during the breathing exercises. The therapist also guides the person to perform different bodily movements or apply pressure to particular areas of the body, in order to allow for further release of muscular tension and help the individual learn to be flexible and become more comfortable with the practice of free-flowing deep breathing. Reichian breathwork can be practiced by individuals on their own, but the many components of the approach must first be learned properly. Individuals who are first beginning to practice Reichian breathwork generally attend weekly sessions of one hour each, until they are thoroughly grounded in the approach. Making connections between areas of muscular tension, breath restriction, and emotional pain is a primary component of Reichian breathwork. Thus, performing Reichian breathwork is likely to be most powerful with the help of a therapist who is trained to recognize and assist individuals in understanding and exploring these connections. However, as those in treatment become better able to release muscular tension, and pent-up emotional pain begins to be replaced with a sense of aliveness, individuals can continue practice of the deep breathing techniques on their own. As a person progresses through therapy and reaches set goals, therapy sessions become less frequent. A person might continue to have a session once a month to ensure continued proper use of techniques and allow the therapist to assess any changes in progress. A number of manuals exist to help those with some knowledge of the approach continue practice outside of session. The Reichian Institute offers workshops and retreats that provide in-depth training on the theoretical foundations of Reichian breathwork, along with the applied techniques. The International Institute of Bioenergetic Analysis (IIBA), which is founded largely in the work of Wilhelm Reich, provides a forum for therapists who use techniques in muscular tension, breathing, and expression of emotion. The IIBA also holds an annual conference for therapists to come together and discuss current research areas in therapeutic techniques related to Reichian breathing. Proponents of this approach hold Reichian breathwork to be an effective therapeutic technique for the release of pent-up stress, anger, and other emotional distress or turmoil. People who have held back or repressed their feelings, needs, and desires may also find that this approach can help them discover or release these. The practice of Reichian breathwork may help some experience increased emotional well-being and greater self-esteem, and they may also find it easier to heal from emotional turmoil and be more honest, both with themselves and with others. Wilhelm Reich is a prominent figure in the history of psychotherapy, and Reichian breathing techniques are used in many schools of therapy. Such intense breathing techniques may not be ideal for all individuals, however. Very deep breathing has been show to have a physiological response in the brain that activates a stress response in the amygdala, which controls emotions. While the goal is to activate the amygdala to allow for emotional release, there are some concerns associated with releasing these emotions too quickly. Some people may not be able to tolerate such intense release of negative emotions, and they may not feel able to return to therapy. Deep breathing and activation of the amygdala could also bring past traumas to the surface, and if the person is not prepared to revisit these traumas, retraumatization (where the person feels as if they are experiencing the trauma for a second time) may occur. Retraumatization can have harmful effects, and it is considered essential for those practicing and utilizing breathwork to be fully trained and for the relationship between the therapist and the person in therapy to be founded upon trust. Douglas-Klotz, N. (1997). "The natural breath: Towards further dialogue between Western somatic and Eastern spiritual approaches to the body awareness of breathing." Religious Studies and Theology, 16(2), 64. Sharaf, M. (1994). Fury on earth: A biography of Wilhelm Reich. New York: Da Capo Press. Turner, C. (2011). Adventures in the Orgasmatron: How the sexual revolution came to America. New York: Farrar, Straus and Giroux. Willis, J. (2013). Reichian therapy: A practical guide for home use. New Falcon Publications.